Designed with older New England homes in mind, the Camp's low-profile headboard fits under the eaves in most 2nd floor bedrooms. With its clean styling and sturdy construction, the Camp Bed has been a customer favorite since day one. 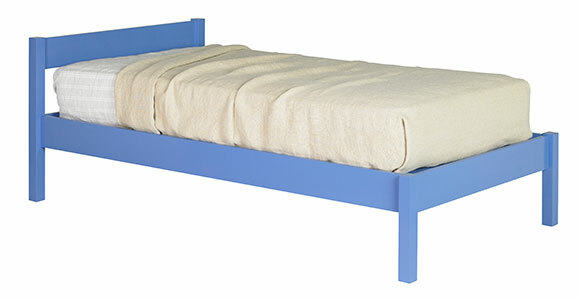 Camp Twin Platform Bed shown in Hyacinth. Available in Twin, Full, Queen, King and custom sizes. Natural finish options available.